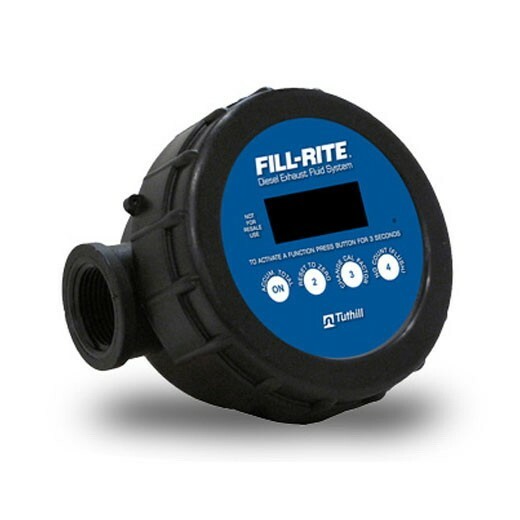 Fill-Rite 825D075BSPPS Diesel Exhaust Fluid (DEF) Digital Fuel Meter is available with two 3/4" BSPP threads. 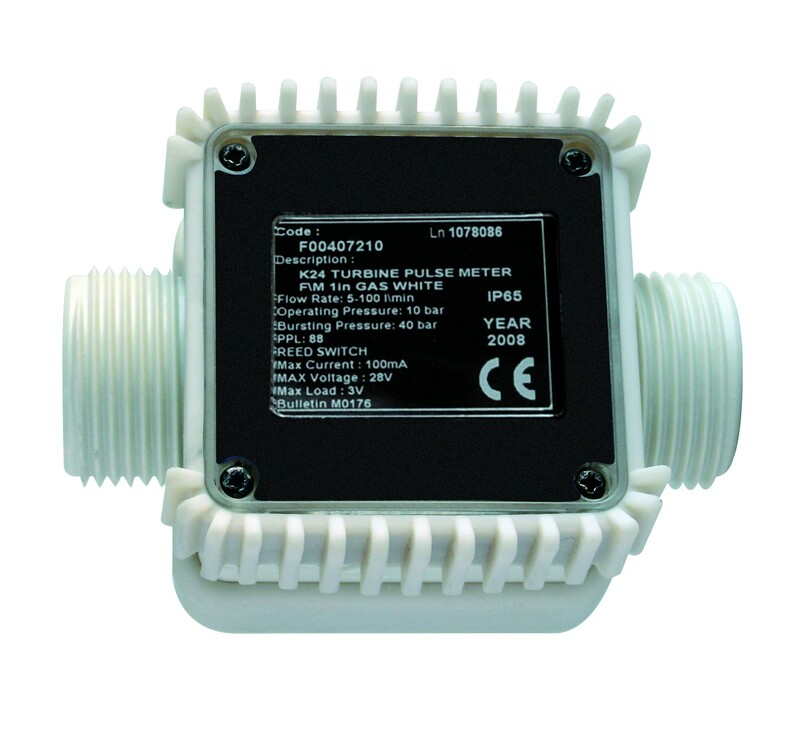 It is an easy-to-read LCD display. GPI 01N31GM-U 113255-24 DEF (diesel exhaust fluid) (Urea) Digital Fuel Meter is calibrated in gallons and is available with 1" NPT threads. It is Lightweight and compact with an easy-to-read LCD display. 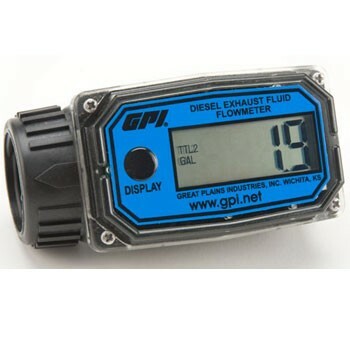 GPI FM-300U 120000-32 DEF (Diesel Exhaust Fluid) (Urea) Electronic Disc Fuel Meter is calibrated in gallons and is available with 1" NPT threads. It features an Easy-to-read LCD display. Piusi F0040721B Suzzara Blue 1" BSP K24 Diesel Exhaust Fluid (Urea) Pulse-Meter is possible to apply directly on the nozzle. 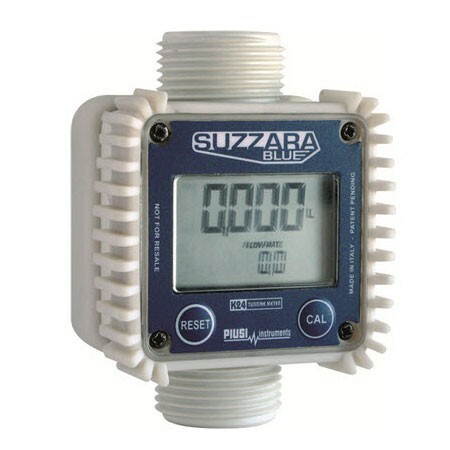 Piusi Suzzara Blue 1" BSP K24 Diesel Exhaust Fluid (DEF) Digital Fuel Meter is possible to apply directly on the nozzle. It is an easy-to-read LCD display. 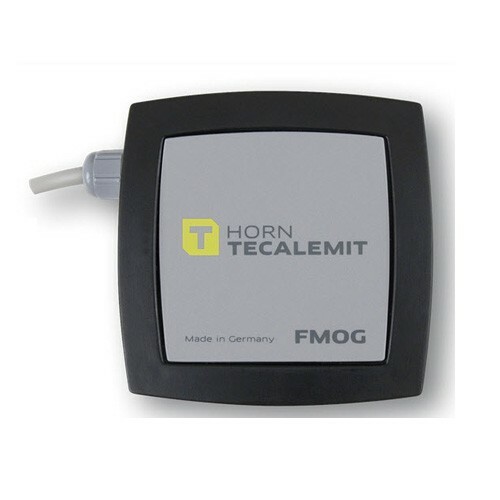 The Tecalemit US027176600 FMOG PEEK Pulse Output DEF Meter is used for Diesel Exhaust Fluid (DEF), water, windshield washer fluid, and coolant/antifreeze. 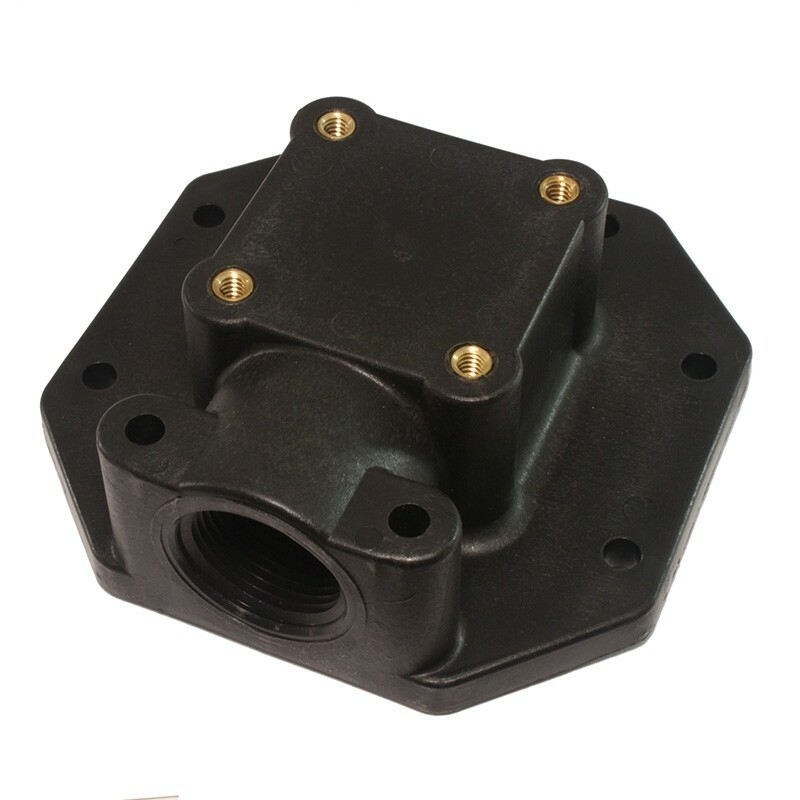 Features vertical or horizontal flow. 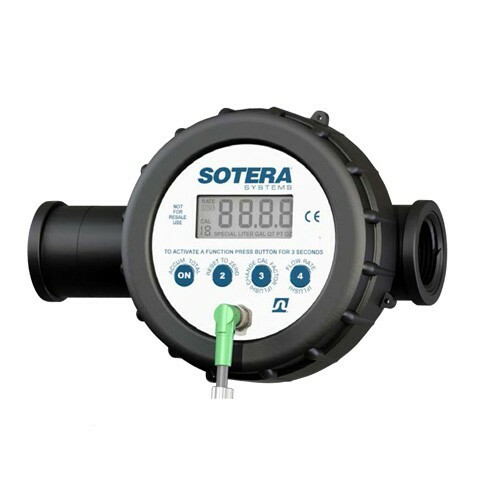 Sotera 825P Diesel Exhaust Fluid (DEF) Digital Fuel Meter is available with 1" NPT inlet and outlet ports. It is an easy-to-read LCD display. This meter has a pulse and 4-20 mA capabilities. 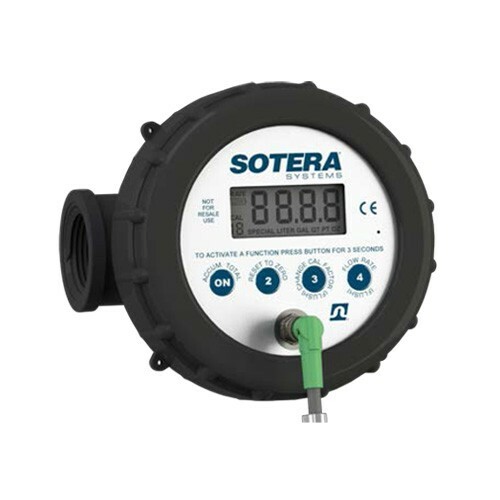 Sotera 850P Diesel Exhaust Fluid (DEF) Digital Fuel Meter is available with 1" NPT inlet and outlet ports. It offers all the great features of the 825, but also incorporates a mass air sensor that distinguishes between fluid and air. Sotera 400F6679 is a 90 Degree Flange with brass inserts for a 400 Series Sotera Pump.